This is not only the BEST tasting it is the EASIST way to make this yummy pasta dish!! It tastes as if you made the whole thing from scratch! Your family will LOVE it! Add olive oil to pan & saute onions, celery, & carrots until tender, add to sauce/1/2 & 1/2/broth/vinegar mix. Brown meat, add to mix. Add spices. Simmer on low for 20mins or as long as you like. 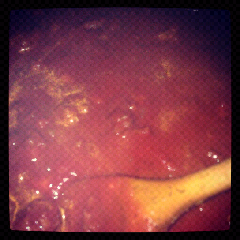 This entry was posted in Uncategorized and tagged BOLOGNESE, Hickory Mom Blogger, italian, pasta. That’s sounds really interesting. I never put cream into mine , but I must try it.